Spring break is next week. Spring break week begins on Monday, March 26th and ends on Friday, March 30th. School will resume on Monday, April 2nd. Please note that there will not be a District blog post next week. Regular weekly blog posts will resume on Wednesday, April 4th. 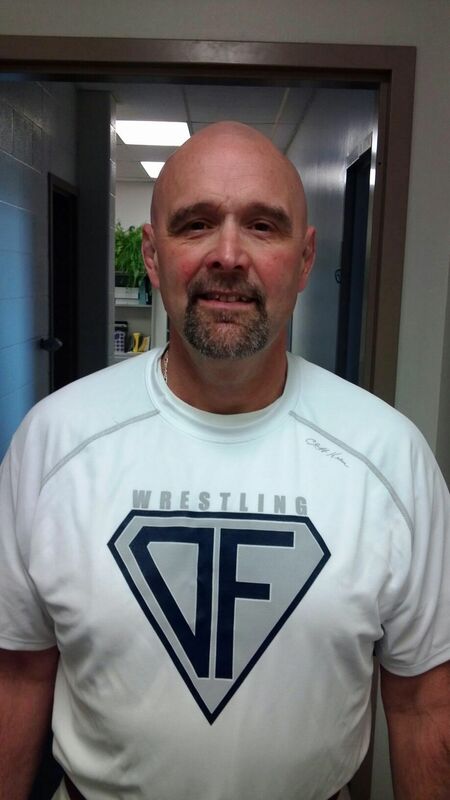 High School Head Coach Bill McGrain has resigned from his head wrestling coaching position after twenty-seven years. Wanting to spend more time with family and take a step back from the program as head coach, McGrain stated it is time for another person to begin a new era in Bulldog wrestling. 1 of only 3 Coaches in Ohio History to Coach a State Champion in all 3 Divisions. Another notable accomplishment during Coach McGrain’s tenure was having the pleasure of coaching the only two-time state champion in school history, Ryan Smith. Bill McGrain currently teaches Occupational Work Adjustment at Olmsted Falls High School, and will continue to teach at OFHS in that capacity moving forward. FALLS-LENOX 1ST GRADE CONCERTS TOMORROW NIGHT! First Grade Concerts – TOMORROW, March 22nd at OFHS Auditorium. Performances at 6:15 p.m. and 7:15 p.m.
6:15 p.m. Concert: Mrs. Schiely, Mrs. Kostraba, Mrs. Burk, Mrs. Deluca, Mrs. Mariotti and Mrs. Patay. 7:15 p.m. Concert: Mrs. Vasco, Miss Sanfilippo, Mrs. Rivera, Dr. Kolozvary and Mr. Simon. FRIDAY NIGHT LIVE” TALENT SHOW THIS FRIDAY! THIS FRIDAY, March 23rd, 7 p.m.
Held at the Olmsted Falls High School Auditorium. Tickets are $6 and available at the door. Bring the whole family and enjoy music, songs, dance and fun for everyone! Come cheer on your favorite talent and performance groups. All proceeds benefit OFHS PTA Scholarships! 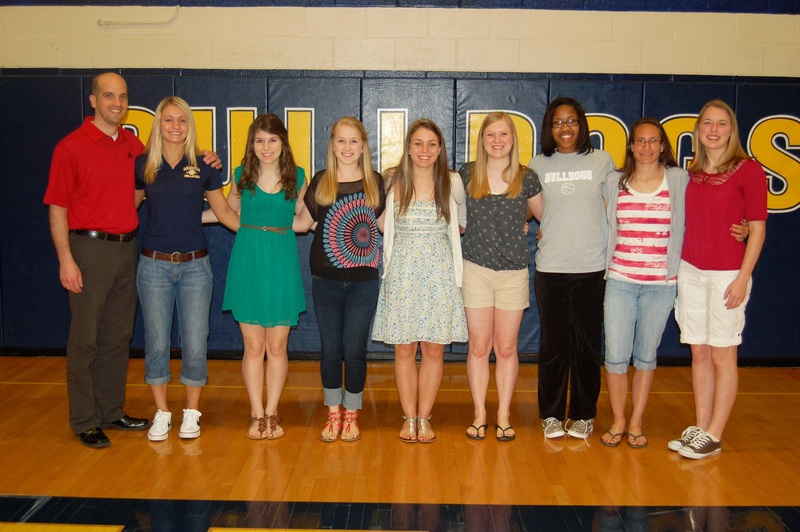 Fourteen juniors and seniors from the OFHS Varsity Basketball Boys & Girls Teams have been awarded special recognition for their academic success off the court by the Ohio High School Basketball Coaches Association (OHSBCA). 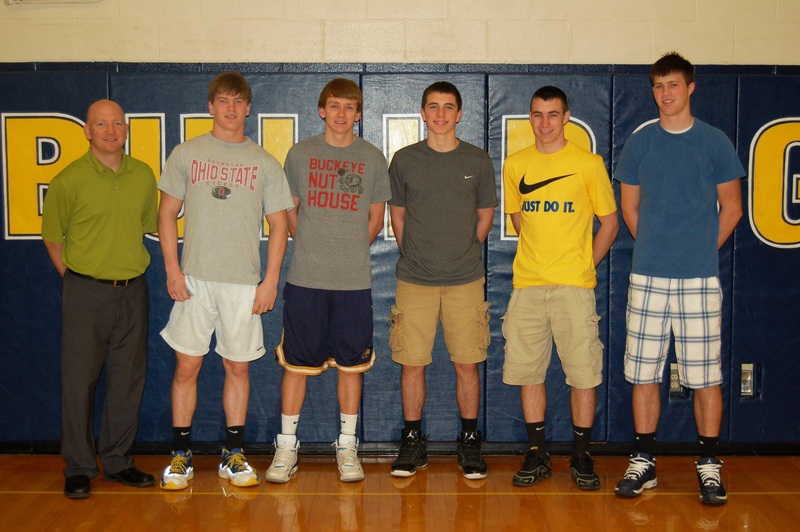 (L to R) Varsity Boys Basketball Coach Chris DeLisio with OHSBCA Award winning athletes Brandon Friedrich, Jared Kurz, Billy Calabrase, Kenny Hanna and Eric Meehan. Not Pictured: Steve Johnson. 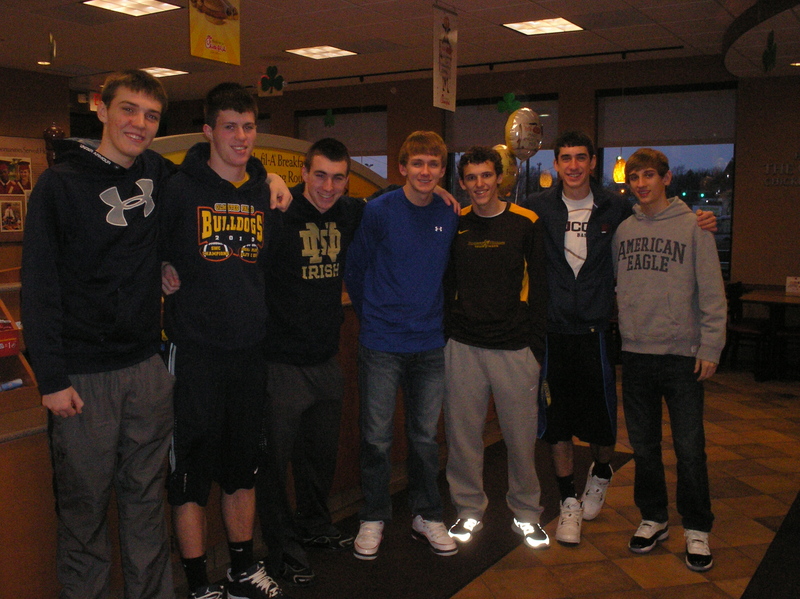 OHSBCA acknowledges juniors and seniors within its basketball programs who do well academically. They award seniors with Gold Certificates for keeping a 3.2 GPA over 7 semesters; and they award juniors with Silver Certificates for keeping a 3.2 for 5 Semesters. Congratulations again to these outstanding student athletes! Kudos also to our coaches for consistently stressing the importance of doing well in the classroom and making sure students place a priority on keeping their grades up. Go Bulldogs! 3rd GRADE LITERACY NIGHT WELL ATTENDED! 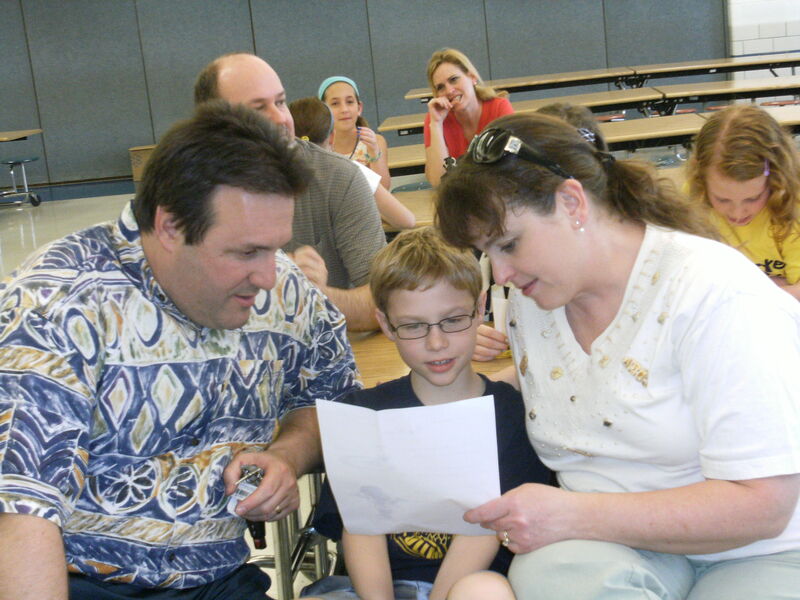 Falls-Lenox third graders and their families enjoyed last week’s Literacy Night, which was filled with fun and engaging activities for all. Thank you to all who attended and helped with the event. To view the entire gallery of photos from this special Bulldog family event, please click HERE. 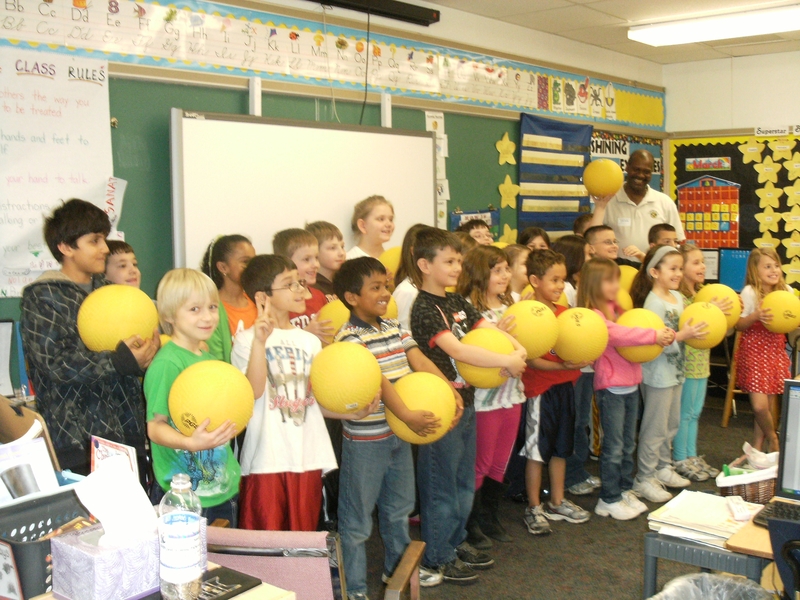 Thank you to the Kiwanis who made a donation of books and balls to Falls-Lenox Primary School last week! The continuous thoughtfulness and generosity of our local Kiwanis Club is most sincerely appreciated by students and staff! SAVE THE DATE! Tuesday, April 10th at 6:00 p.m. in the High School, Room W5 (art room, use west side gym entrance). Student group (grades 6-12) & Parent group (parent(s) of OFCS student(s) in any grade). Contact Mariel Krakowiak for additional information or questions: 440-427-6086, mkrakowiak@ofcs.net. A fundraiser to support travel for the Olmsted Falls Academic Team (OFAT) will be held at Razzles on Friday, April 13, 8-10 p.m. We’ll also have an auction with great items from OF companies, sideboards, and more! Families welcome! Kids under 6 FREE. $20 tickets available from OFAT members, coaches, or at door. Or contact mendykin@aol.com; 440-234-7964. Thanks for supporting academics—the key to the future. Did you know our academic team does more than appear on the Academic Challenge TV show? They actually compete most weekends from mid-October through May all over the state and in West Virginia. They’ve already qualified one team to compete at the National Tournament in Atlanta! They need our help to offset travel expenses. Check out the new Olmsted Falls Academic Boosters Club Facebook page! Post congrats to your student for his/her academic accomplishments. Like us! Join us on Saturday, April 14th at 6:30 p.m. for an evening of music and dancing as the Olmsted Falls High School BlueDog Jazz Band and Golden Expressions Vocal Jazz Ensemble present their third annual compilation of classic and contemporary hits. The event includes desserts , dancing, soft drinks, door prizes, basket raffles, and a Grand Raffle for a new IPAD! All proceeds go to the promotion and enhancement of the music experience for Olmsted Falls music students district-wide. Tickets are $10 per person; purchase 8 tickets to reserve a table in your name. For tickets or more information, contact Don Woods ofmamusic@gmail.com 440-915-1241 or Michelle Neudeck neudeck@cox.net 440-596-1802. Click HERE for the flyer. Summer School registration for health and physical education classes for current 8th and 9th graders is already underway. For additional information and to download enrollment forms, please click here. Olmsted Community Preschool hosts the Easter Bunny at Kiddie Kargo: This Saturday, March 24th from 1:00 p.m. to 4:00 p.m., come to the Kiddie Kargo at 8068 Columbia Road for an afternoon of snacks, crafts, an Easter egg hunt, and a visit by the Easter Bunny! Reservations were requested to have been made by March 15th; please call 440-235-2700 for additional information. All proceeds go to the Olmsted Community Preschool. For more information, click HERE. 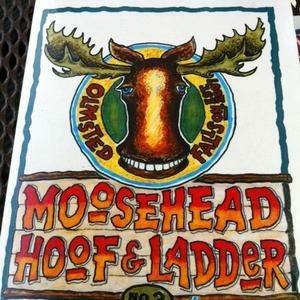 Boy Scout Troop 201 Fundraiser: Moosehead Hoof & Ladder will donate 10% of your check to Troop 201 when you dine every Sunday in the month of March between the hours of 11:00 a.m. and 8:00 p.m. This COUPON must be presented to your server for Troop 201 to receive the donation. Brunch is available on Sundays from 11:00 a.m. – 2:00 p.m. Troop 201 thanks you for your support! Kiwanis Pancake Breakfast – Sunday, April 1st, 8:00 a.m. to 1:30 p.m. at Olmsted Falls High School Cafeteria. All you can eat! Please click HERE to download flyer with additional details. Annual Career Fair Sponsored by Polaris Career Center in collaboration with Cuyahoga County – Wednesday, March 28 from 10:00 a.m. to 2:00 p.m. This annual event typically attracts 100 employers and more than 1,200 job seekers. Polaris is currently seeking participation from both employers and job seekers. For additional information, please click here. 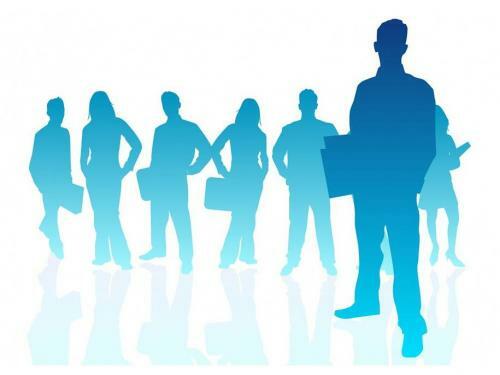 For job seeker registration, please click here. For employer registration, please click here. 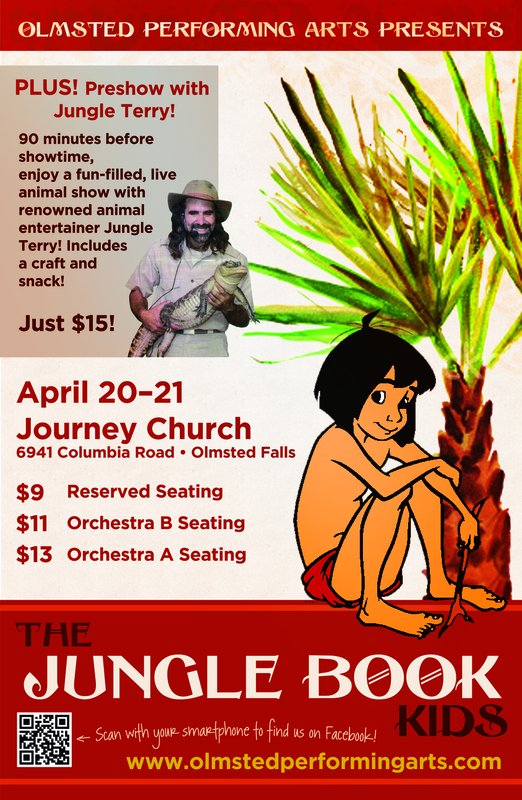 TICKETS ON SALE….Olmsted Performing Arts Youth Stage: There will be a performance of Disney’s The Jungle Book Kids on Friday, April 20th at 7 pm and on Saturday, April 21st at 2 pm and at 7 pm. The jungle is jumpin’ with jazz in this exciting Disney classic! Specially adapted from the beloved film, this musical includes favorite Disney tunes, like “The Bare Necessities,” and “I Wanna Be Like You.” Performances will be in the 1,200 seat auditorium at Journey Church, 6941 Columbia Road, Olmsted Falls. Advance tickets are available through noon on April 19th at www.olmstedperformingarts.com and are $13 for Orchestra A, $11 for Orchesta B, and $9 for Reserved Seating. Add $2/ticket at the door. Lap sitting children ages 3 and under are free. Plus, join us for a fun-filled, live animal show with renowned animal entertainer Jungle Terry, plus craft and a snack, at our special preshow event 90 minutes before each performance. Preshow tickets are $15 each. TICKETS ON SALE….Olmsted Performing Arts Dine with Royalty: Join Olmsted Performing Arts at our royal paradise at Journey Church, 6941 Columbia Road, Olmsted Falls for dinner (6:00 pm on May 11th, 18th, & 19th – $25/person) or breakfast (10:30 am on May 12th & 19th – $20/person). Your experience includes breakfast (French toast, scrambled eggs, and sausage) or dinner (chicken parmigiana, pasta, salad, and dinner rolls), a 30-45 minute floor show, photo opportunities, and a chance to meet Ariel, Snow White, Belle, Sleeping Beauty, Rapunzel, Cinderella, Peter Pan, Tinkerbell, Pochahontas, and the OPA Disney Dancers. Enjoy Premium VIP seating and a private dining area for an additional $5 per ticket. Advance tickets only. Children under age 2 are free if they share a plate with an adult. Purchase tickets at www.olmstedperformingarts.com or in person at our box office at the Olmsted Community Center, 8170 Mapleway Drive, Olmsted Falls. This event will sell out. Details are available at http://www.olmstedperformingarts.com/youthTheater.php. Congratulations to all these hardworking students and thanks to all the coaches and parents for your dedication, help and support! 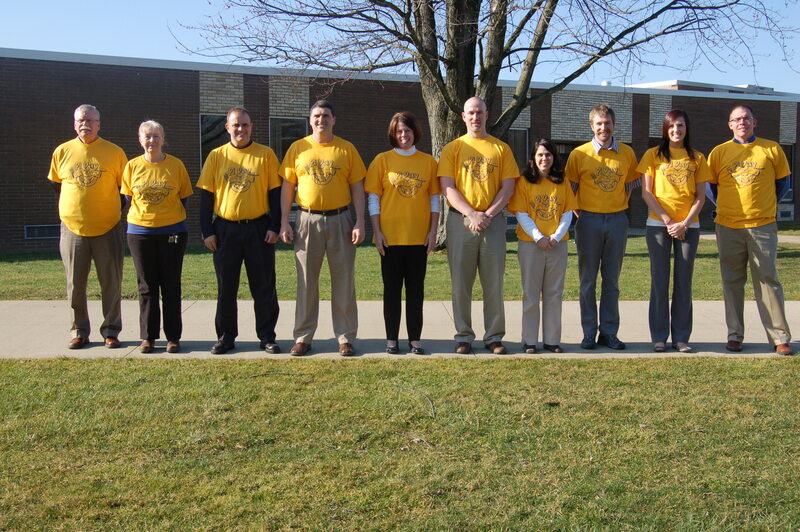 OFHS MATH DEPARTMENT CELEBRATES PI ( ) DAY! OFHS math teachers wore matching “Pi Day” t-shirts today, and planned a variety of activities to commemorate the special day. DID YOU KNOW? Albert Einstein’s birthday is also today, March 14th! More than 300 people were in attendance to recognize OFHS students for their academic achievements last Thursday evening at the 32nd Annual Academic Honors Banquet. A record number of students were honored at this year’s event! Students were joined by their families and other special guests for a dinner and awards ceremony held at Baldwin Wallace College. To be recognized at this special event, students must earn a cumulative GPA of 4.0 for freshmen, 3.9 for sophomores, 3.8 for juniors, and 3.7 for seniors. Congratulations to all of these outstanding students and their families! Students at the Early Childhood Center (ECC) began celebrating St. Patrick’s Day early this week thanks to some very special visitors. 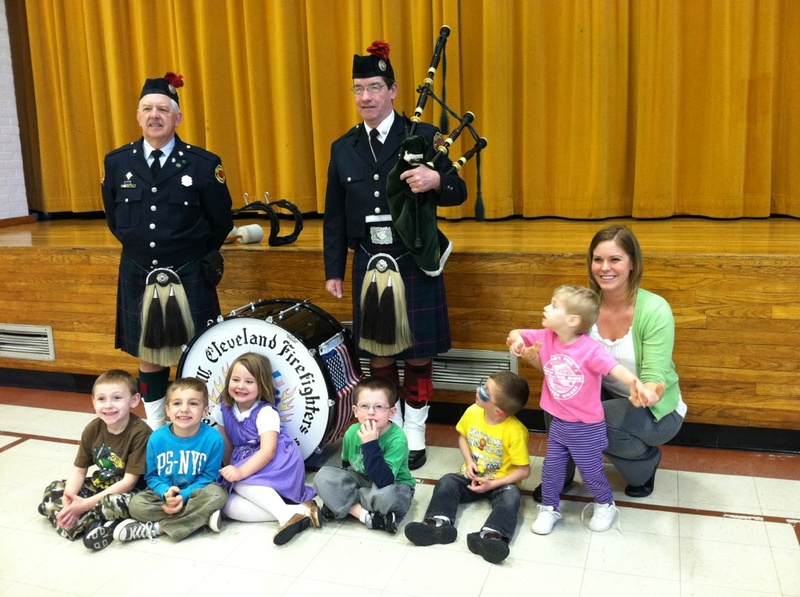 Mr. Robert Stack (far left) and Mr. Patrick Logan, both members of the Cleveland Firefighters Memorial Pipes and Drums, entertained students with a special performance. 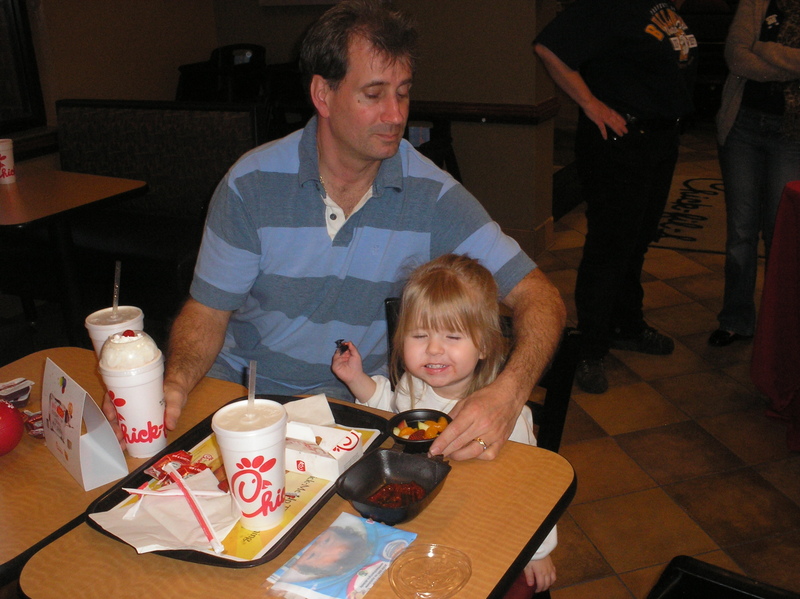 Mr. Stack is the father of preschool teacher Ms. Megan Stack. Thank you to Mr. Stack and Mr. Logan for this very special visit! ECC students were also treated to an Irish Jig dance performance by fellow ECC student Caroline Terrell, a kindergartner in Mrs. Doyle’s class (pictured on stage). Thank you to Caroline for sharing your dance talent with us! Congratulations to the following Olmsted Falls Middle School students who were selected to perform with the District 4 Honor Choir on February 25th: Josh Aubel, Kristin Kawecki, Chris Kollm, Nick Kroo, Marisol Lambermont, Sydney Martin, Courtney Nelson and Justin Peck. 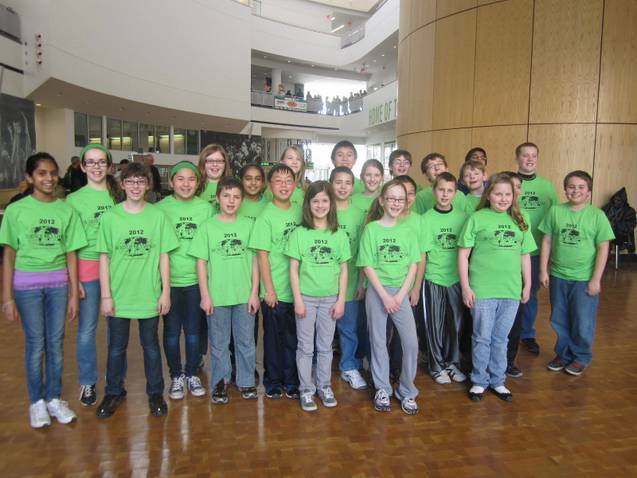 These students were selected among 85 other middle school students in the NE Ohio area. 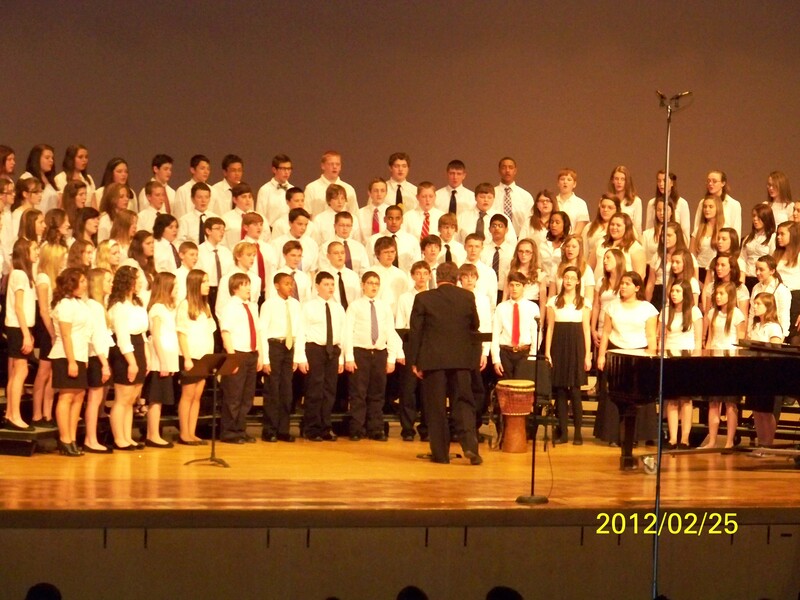 The performance took place at Lakewood Civic Auditorium and was directed by former OFMS choral director, Eric Richardson. Congratulations also to the following Olmsted Falls Middle School students who have been selected to perform with the Oberlin Choristers Honor Choir this Saturday, March 17th: Joey d’Aliberti, Luke Andrus, Aleigha Angus, Olivia Begeman, Audra Bowers, Mary Candow, Kayla Falcone, Trisha Feighan, Dominic Gentile, Dana Rapchak, Lizzie Vukovic, Dylan Wellington and Bill Wendling. These students will also be joining students from area Cuyahoga and Lorain County schools. The performance will be at Lorain County Community College Stocker Center and the performance time will begin at 3 pm. OFHS CLASS OF 2011 ALUMNUS SELECTED AS FIRST RECIPIENT OF A NEW SCHOLARSHIP AWARD FROM JO-ANN FABRICS, INC.
Congratulations to Bulldog alumnus Natalie Sullinger (Class of 2011) on being chosen as the first recipient of the Jo-Ann Fabrics “First Generation Scholarship” award, designed for students who are the first in their family to work toward a 4-year degree and who have experience/leadership in sewing, fabrics and/or crafts. Natalie is currently studying at Kent State University. 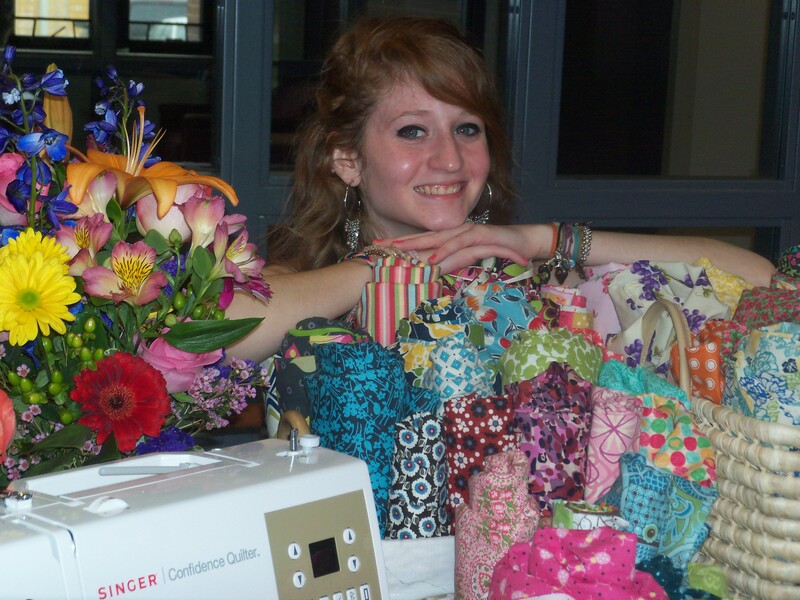 During her time at OFHS, Natalie was instrumental in organizing quilt making efforts for donation to local cancer patients. She credits OFHS Counsleor Ms. Sherry Davis (who was her teacher at the time) for teaching her how to make her first cancer quilt. To read more about this outstanding OFHS alumnus, please click here. Mrs. Ambrosia's 4th grade class at OFIS "Lets It Go!" Students in Mrs. Ambrosia’s class joined students across the District last Friday as Olmsted Falls Schools celebrated “Let It Go Day” – a day that encourages letting go of past grievences and promoted kindness and forgiveness among all. On Let it Go Day, all students and staff of Olmsted Falls Schools were encouraged to wear something GREEN to represent growth and new beginnings. 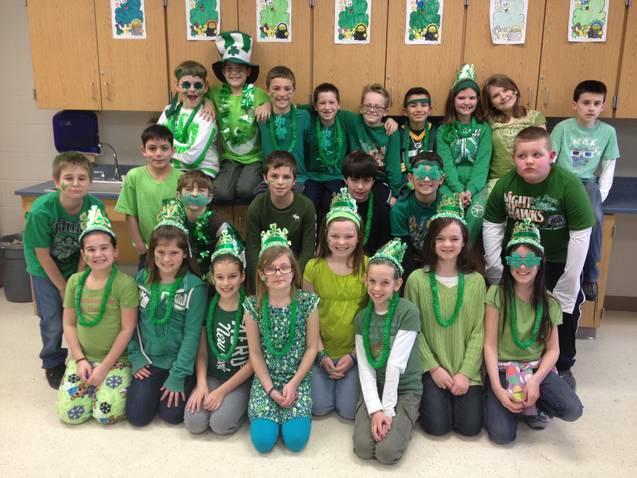 Mrs. Ambrosia’s class certainly went all out for the occasion! Kudos to these 4th grade students, and to all of the students and staff across the District that participated in the 2nd Annual Let It Go Day! Third grade parents (as well as anyone else interested) are invited and encouraged to attend this special joint meeting. Please plan to arrive at 6:00 PM for a guided tour of the Intermediate School and then enjoy dinner, drinks and dessert. Please note this combined PTA meeting will take the place of the F/L-ECC March meeting. 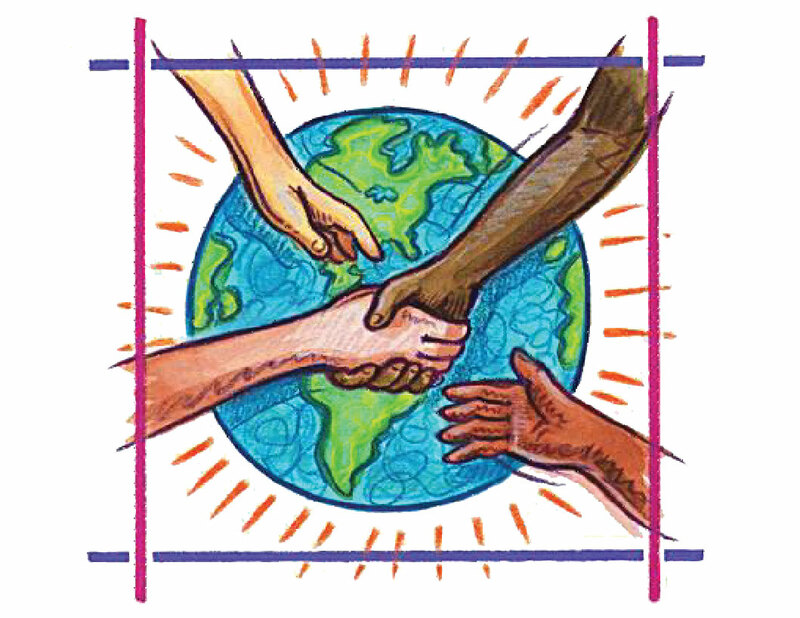 There will be no F/L-ECC PTA meeting on March 27th. ANNOUNCING…”FRIDAY NIGHT LIVE” TALENT SHOW NEXT FRIDAY! 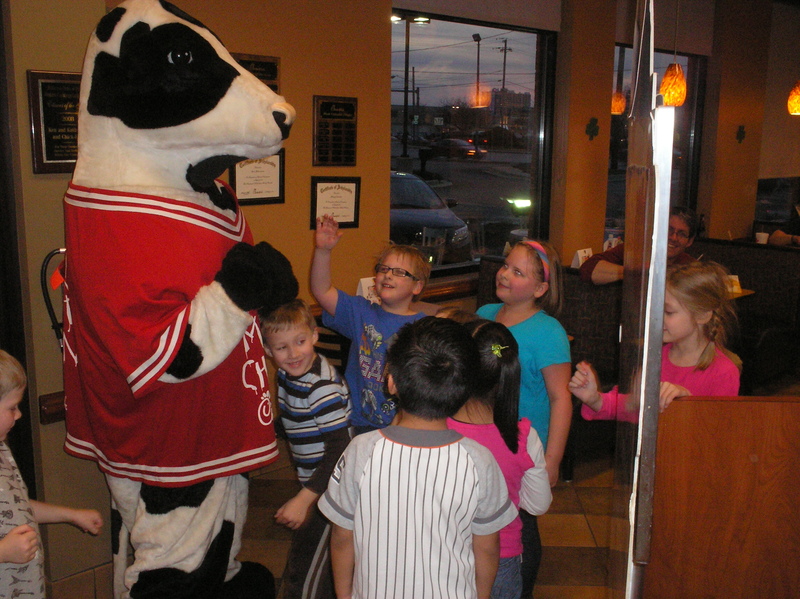 The OFHS Post Prom committee extends sincere thanks to all those who dined at Chic-Fil-A last Wednesday evening to help raise funds for Post Prom with this special Spirit Night Fundraiser. A fun night was had by all who attended. Special thanks to Teri Petro who ran the raffle wheel, and to Jackie Keuhn and Barb Hurrell who helped refresh drinks for all customers! Thanks also to Kayla, Tommy, Joanie and Cody for being on “Cow Patrol” for the night. Thursday, April 19th – Dodgeball tournament at the OFHS, more details to come. Saturday, April 28th – Wing Night/Chinese Raffle, more details to come. Third Grade Literacy Night – TOMORROW, Thursday, March 15th! The final literacy night this year will take place from 6:00-7:45 p.m. and promises to be fun and engaging evenings for the children and their families. We hope to see you there! First Grade Concerts – NEXT Thursday, March 22nd at OFHS Auditorium. Performances at 6:15 p.m. and 7:15 p.m.
Olmsted Falls High School will offer the Armed Services Vocational Aptitude Battery (ASVAB) test for any junior or senior interested in learning more about military careers. The test is scheduled for THIS FRIDAY, March 16, 2012 at 7:00 a.m. in the high school guidance office. Students can register for the test with their school counselor. Read more about the ASVAB by clicking HERE. The Easter Bunny is coming to Kiddie Kargo: On Saturday, March 24th from 1:00 p.m. to 4:00 p.m., come to the Kiddie Kargo at 8068 Columbia Road for an afternoon of snacks, crafts, an Easter egg hunt, and a visit by the Easter Bunny! Make your reservations by March 15th at 440-235-2700. All proceeds go to the Olmsted Community Preschool. For more information, click HERE. The students at OFHS gathered last Friday to capture this image to express their heartfelt support to Chardon High School. Students and staff wore black and red on Friday in honor of Chardon, and gathered in the gymnasium as a school community to capture this memorable photo. The photo has been sent to the Chardon High School principal along with the banner, which was also signed with personal messages from our students and staff to the students and staff at Chardon. Olmsted Falls High School is proud of the students for coming up with this idea to lend support to the Chardon community during this difficult time. This banner from OFHS is now on display in the gymnasium at Chardon High School. The Olmsted Falls School District continues to keep all those impacted by the tragic shootings at Chardon High School in our thoughts and prayers. 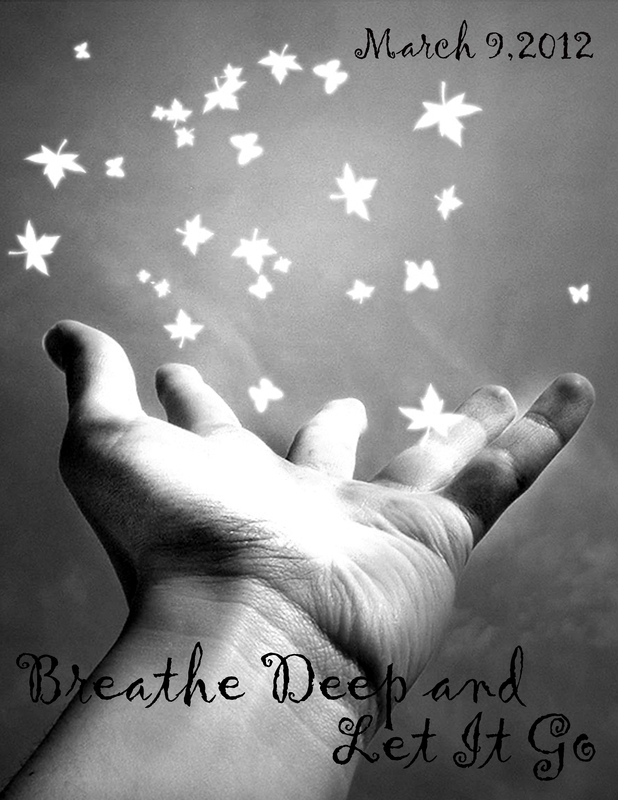 The Let It Go campaign began with a student’s vision presented to the OFHS Guidance Department in the Fall of 2010. The student’s vision was for one day, we might let go of past grievances and promote a feeling of kindness and forgiveness among all people. With the support of the district guidance team, district administration and teaching staff, the second annual Let It Go Day will take place this Friday, March 9th. On Let it Go Day, all students and staff of Olmsted Falls Schools are encouraged to WEAR SOMETHING GREEN. Green represents growth and new beginnings. Falls-Lenox – Morning show announcements and students will be writing something down they want to let go of and tearing it up. High School – Classroom presentations throughout several curriculum areas: Health, Art, Social Studies and Language Arts departments. Also at OFHS, art students participated in a special project to create promotional posters to help spread awareness about Let It Go Day. One of these outstanding poster creations is featured above. To view a gallery of additional Let It Go posters, please click here. DID YOU KNOW? The Olmsted Falls School District has a revenue-generating contract to provide bus maintenance services to Fairview Park City Schools. This partnership began in 2010 and provides a win-win situation for both districts. This latest example of shared services involving Olmsted Falls Schools generates a new revenue stream for our District, while providing a much-needed service and increased efficiencies for nearby Fairview Park. This is not the first time Olmsted Falls School District’s Transportation Department has entered into a regional agreement of this type. The District also provides maintenance and fuel services for Lakewood City Schools and the City of Olmsted Falls; and fuel services for Olmsted Township. Click here to read an article from this week’s Westlife newspaper about Olmsted Falls School District’s partnership with Fairview Park City Schools. Preschool students in Mrs. Atkinson’s a.m. and p.m. classes took a special tour of the Polling Location located in the Early Childhood Center gymnasium on Tuesday to learn about the election process. 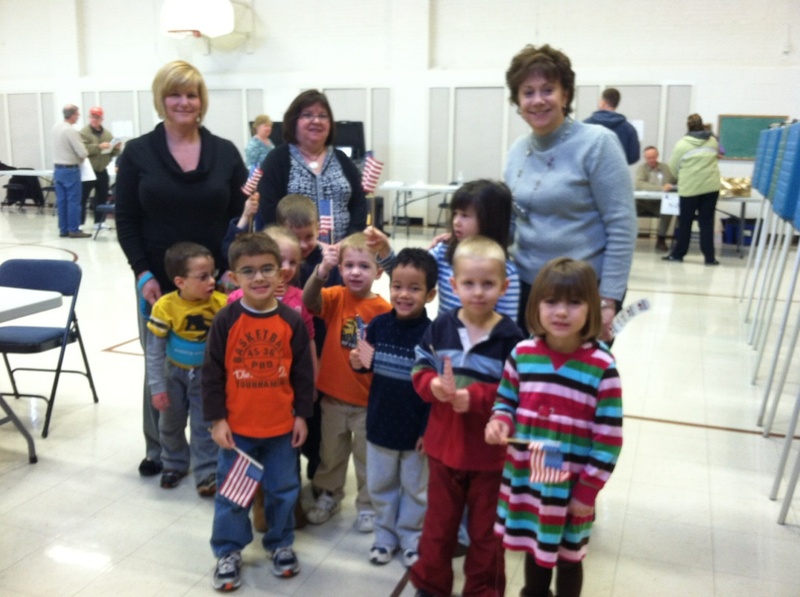 Students learned how people sign in to receive their ballots, saw the voting booths and “special pens” up close, and received American flags and special voting stickers to commemorate their mini field trip! Congratulations to the OFHS Academic Team for their record setting performance on “The Scholastic Games of Lorain County” radio quiz program, which aired on WEOL (AM 930) on March 1st. This highly anticipated competition pitted the program’s defending champion (our OFHS bulldogs) against Grafton’s large, former championship winning Midview High School. The final score was 770 to 90, the highest winning score in the broadcast’s 22-year history. The previous high score of 740 was set by Admiral King High School more than a decade ago. Olmsted Falls was represented by Brad Sevcik, team captain Sohan Vartak, and Marty Mendenhall, (pictured above) who won the “Standout Scholar” award this time around. It is awarded on each broadcast to the student who contributes the most to his or her team and includes a $50 prize to the student. Both Mendenhall and Vartak were on the championship team last year. The team began the competition by correctly answering all of the questions in the first round, establishing a lead that was sustained throughout the program. The program features five rounds of competition, focusing on questions of general knowledge, history, science, literature and other academic disciplines. The program’s Historical Round features several items with a series of clues, the most difficult of which yields 50 points for a correct response, and Olmsted Falls managed two such answers in that round. The Olmsted Falls Academic Team advisor is Ms. Rhonna Smith. This was only Olmsted Falls’ second year in the competition. 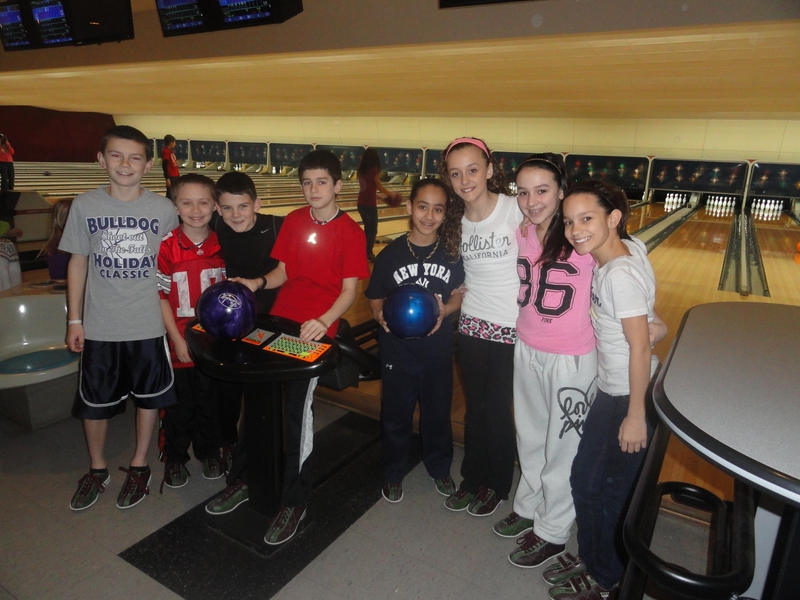 MS STUDENTS ENJOY ANNUAL WEB LOCK-IN EVENT! The Middle School is pleased to report that its 6th Annual Lock-In, hosted by WEB (Where Everyone Belongs) coordinators and leaders on this past Friday and Saturday, March 2nd & 3rd, was a spectacular event! Sixth grade students enjoyed two activity sessions which included basketball, volleyball, dodgeball, nail painting, cookie baking, jewelry making and Wii stations. There was also dancing to their favorite songs to get everyone thoroughly exhausted before ending the evening sleeping in the OFMS and OFIS cafeterias. Special thanks to our Middle School staff, teachers, custodians and parents. Your kindness, support and help were greatly appreciated! Thanks to your efforts, this year’s 6th graders had a great time building friendships and Bulldog spirit at this popular event! 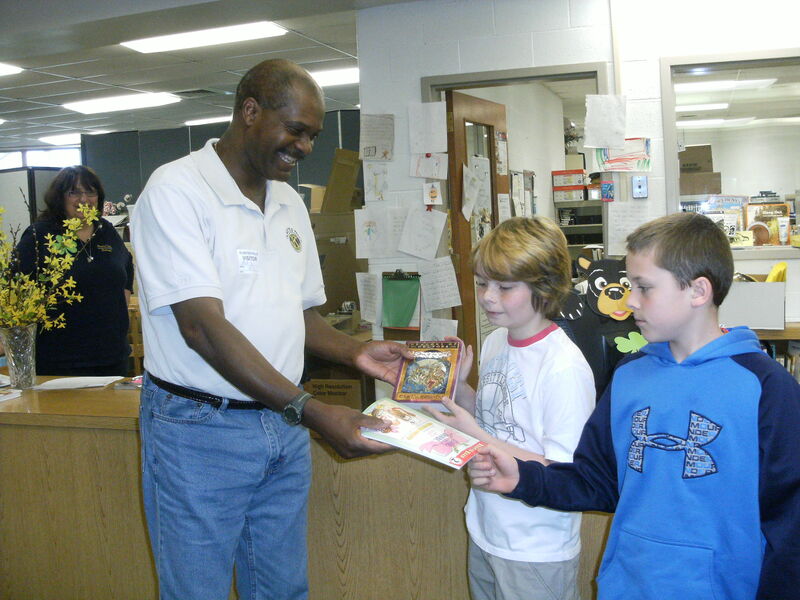 Many prominent members of our community took part in the recent Right-To-Read Week celebration at Falls-Lenox. Students were treated to a camping themed reading celebration that included visits from guest readers like Dr. Hoadley and our newest School Board Member, Mr. Greg Surtman. Along with District Administrators, the kids enjoyed visits from other supportive members of our community like Mayor Blomquist, Township Trustee Jeanene Kress, Chamber of Commerce Member Marie Grosh, School Resource Officer Bob Swope and many others. It was a great outpouring of support for our students and showed the community’s committment to their education while reinforcing a life-long love of literacy. 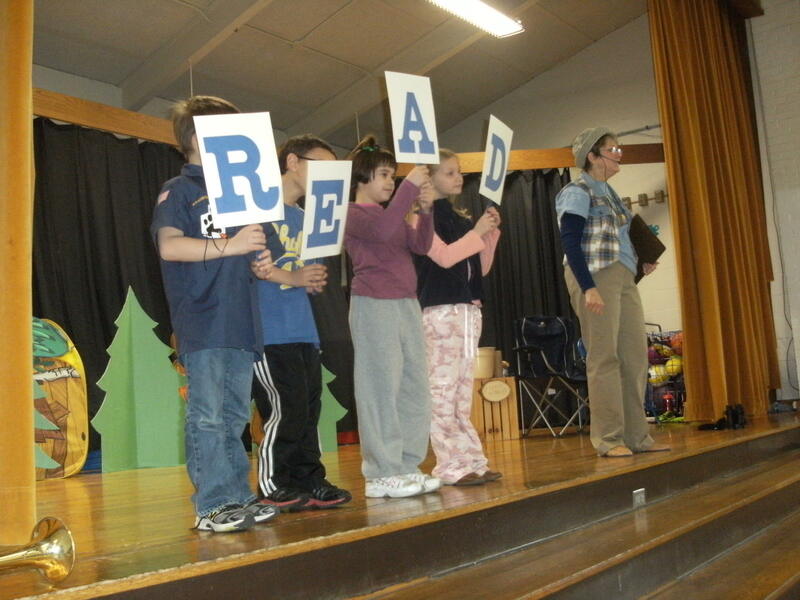 Thank you to all who particpated in this week-long celebration of reading! To view our entire Guest Reader gallery, please click here. 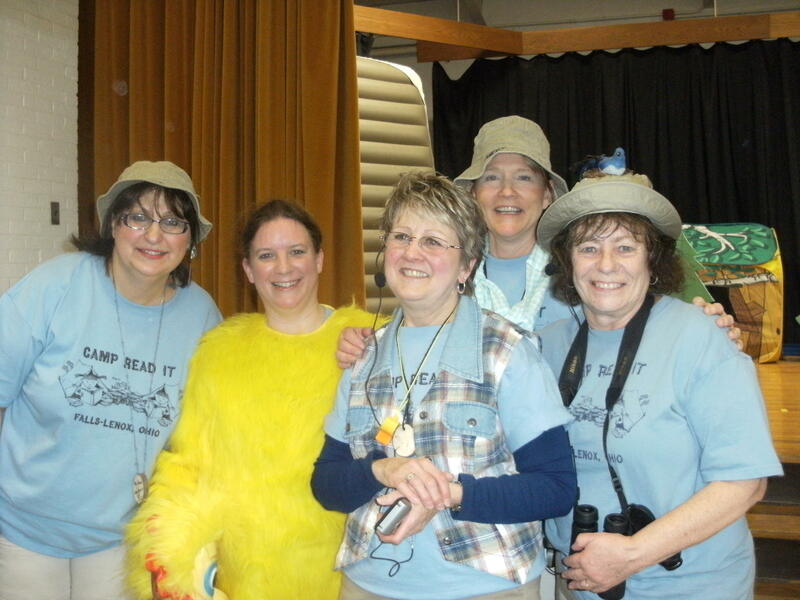 To view more photos from the Right-To-Read Week festivities at Falls-Lenox, please click here. 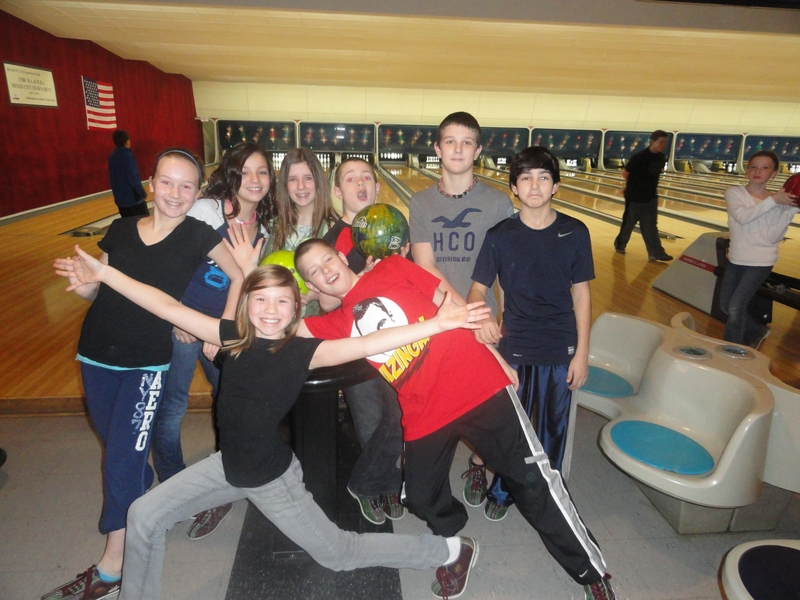 The Physical Education department at Olmsted Falls Middle School recently won a Target Field Trip grant, which helped pay for all 6th grade students to go bowling at Buckeye Lanes in North Olmsted. The Field Trip grant was awarded to help supplement the “Lifetime Activities” curriculum within the school’s PE department. Congratulations to Yesenia Figueroa (pictured in back row), and her Junior team members at Polaris Career Center, for being awarded the Gold Medal at Region 3A Culinary Arts Competion at Cuyahoga Community College. Yesenia Figueroa is a student at the Chef Training Program at Polaris Career Center. Not only did the team earn the Gold Medal, but her Junior team beat four others school (Beachwood School, Westshore Career Technical, Lakewood, Euclid City School) and their own Polaris Senior team. Yesenia Figueroa and her two Junior team members are Region A-3 Champions and will be competing at the State Culinary Arts Competition on April 2012. Polaris Culinary Art teams obtained 4 gold medals and 2 silver medals at the Region 3A competition last Satuday at Cuyahoga Community College. Congratulations Yesenia! POST PROM FUNDRAISER AT CHIC-FIL-A TONIGHT! 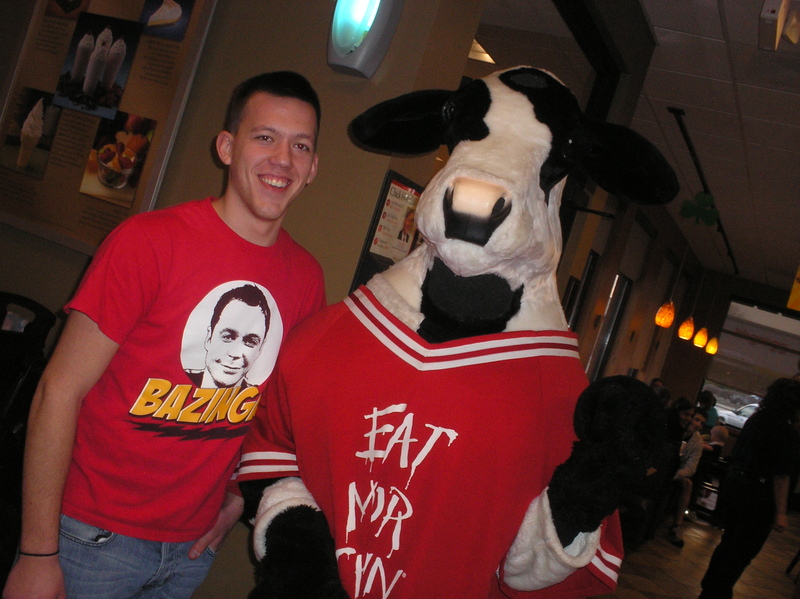 TONIGHT, Wednesday, March 7th – North Olmsted Chick-Fil-A – Mention Olmsted Falls Post Prom and we will receive a portion of the sales. Thursday, April 19th – Dodgeball tournement at the OFHS, more details to come. Scheduling Current Grades 9-11: OFHS Counselors are scheduling courses for 2012-13 in language arts classes from March 2th -14th. Scheduling recommendation forms will be coming home the week prior to scheduling. A parent signature is required on the scheduling form and students are asked to bring the signed form on their scheduling day. Additionally, the Program of Studies is posted HERE for course descriptions and school policies. All schedules will be finalized by June 15, 2012. Current 8th graders: Students will receive scheduling sheets on March 12th and 13th and should bring the documents home to review schedule, select courses, and return sheet with a parent signature prior to scheduling on March 19th and 20th. 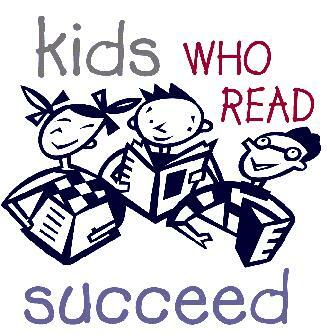 Third Grade Literacy Night – Thursday, March 15th. The final literacy night this year will take place from 6:00-7:45 p.m. and promises to be fun and engaging evenings for the children and their families. We hope to see you there! First Grade Concerts – Thursday, March 22nd at OFHS Auditorium. Performances at 6:15 p.m. and 7:15 p.m.
Olmsted Falls High School will offer the Armed Services Vocational Aptitude Battery (ASVAB) test for any junior or senior interested in learning more about military careers. The test is scheduled on Friday, March 16, 2012 at 7:00 a.m. in the high school guidance office. Students can register for the test with their school counselor. Read more about the ASVAB by clicking HERE. Olmsted Falls High School is once again offering a Summer Enrichment Program for health and physical education classes for current 8th and 9th grade students. Classes begin on Thursday, June 7, 2012 and end on Wednesday, June 27, 2012. The final exam date for all classes is Wednesday, June 27, 2012. Both classes fulfill graduation requirements. Since students are required to attend 15 classes, there will be one makeup day taught by the summer school staff on Thursday, June 28, 2012. On the makeup day, health classes will be conducted in the morning and physical education classes will be conducted in the afternoon. 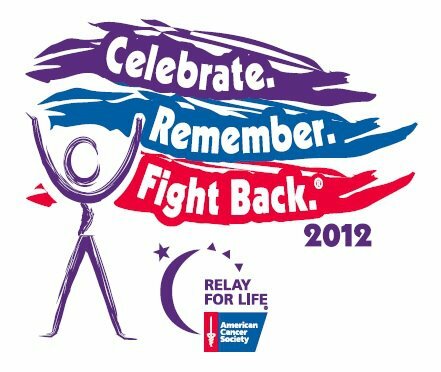 Registration will begin Monday, March 5, 2012. Please be prompt with your reply as classes fill up quickly. Tuition for each class is $150.00. Enrollment forms will be available at both the high school and middle school guidance offices beginning March 5, 2012. If interested, please click here to read the complete information letter regarding the Summer Enrichment Program. To download an enrollment form from the high school website, please click here. ** Important Note: Registration for the Summer Enrichment programs began on March 5th. March 13 (OFHS Guidance Office) 7:30 a.m. – 3:00 p.m.
April 10 (OFHS Guidance Office) 1:00 p.m. – 8:00 p.m. Please call Ms. Tommye Laut in the HS Counseling Department at 427-6116 to schedule your appointment today. Parents are also encouraged to visit the Counselor’s Corner of the OFHS website for additional scholarship resources. Visit the OFHS Counselor’s Corner by clicking here, and look for “Scholarship Information” under the Forms section about half way down the page on the right-hand side. 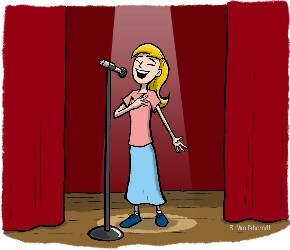 OPA’s Got Talent: Watch talented young people from around Northeast Ohio as they compete in OPA’s Got Talent at the Olmsted Community Center, 8170 Mapleway Drive, Olmsted Falls, THIS FRIDAY, March 9th at 7:00 p.m. Admission is $5. 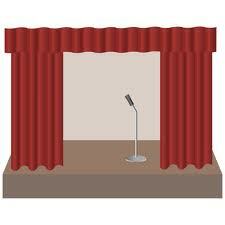 See www.olmstedperformingarts.com for details. 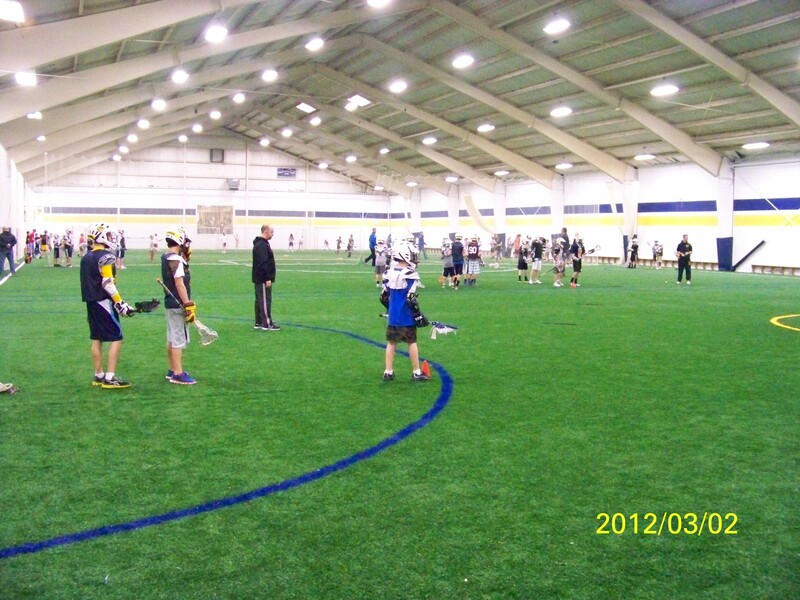 OLMSTED FALLS YOUTH LACROSSE UPDATE – Olmsted Falls Lacrosse started their 3rd season with indoor practices to develop stick skills, conditioning, and team strategy. 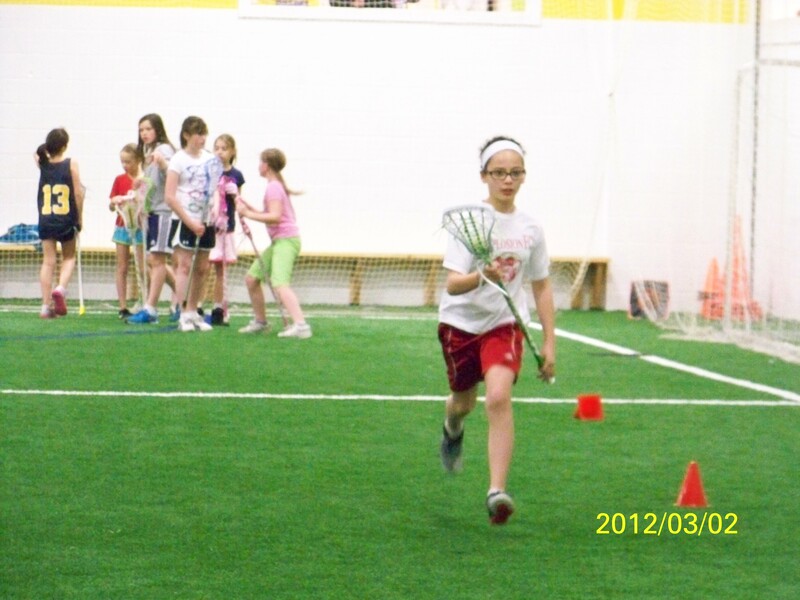 A record number of young athletes have registered to participate in the fastest game on two feet! Over 100 games against many local area teams are scheduled for this upcoming season that will culminate with 5th/6th grade and 7th/8th grade state championship tournaments. 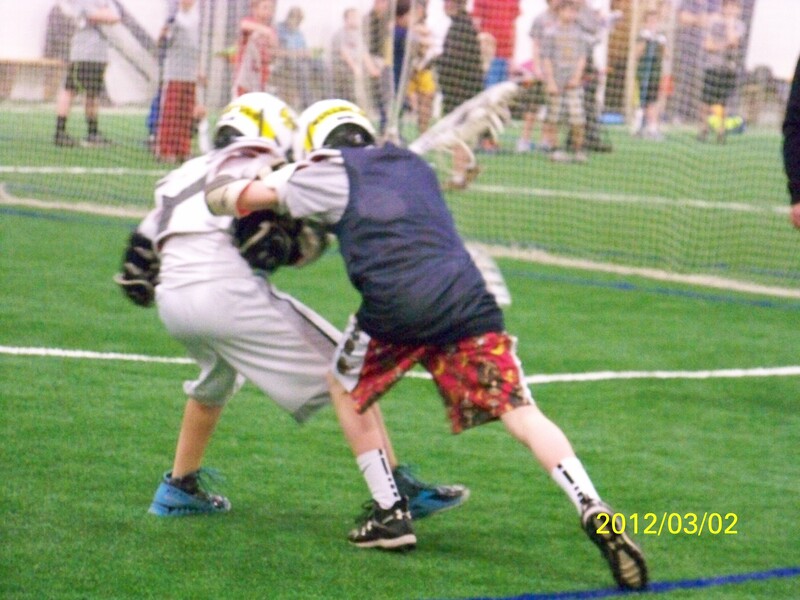 For more information, game schedules, and photos, check out www.olmstedfallslax.com or friend us on Facebook at ‘Olmsted Falls Lacrosse’. Annual Career Fair Sponsored by Polaris Career Center in collaboration with Cuyahoga County – Wednesday, March 28 from 10:00 a.m. to 2:00 p.m. This annual event typically attracts 100 employers and more than 1,200 job seekers. Polaris is currently seeking participation from both employers and job seekers. For additional information, please click here. For job seeker registration, please click here. For employer registration, please click here. Note: The deadline to be included in the employer directory is March 7th. Olmsted Performing Arts Youth Stage: There will be a performance of Disney’s The Jungle Book Kids on Friday, April 20th at 7 pm and on Saturday, April 21st at 2 pm and at 7 pm. The jungle is jumpin’ with jazz in this exciting Disney classic! Specially adapted from the beloved film, this musical includes favorite Disney tunes, like “The Bare Necessities,” and “I Wan’na Be Like You.” Performances will be in the 1,200 seat auditorium at Journey Church, 6941 Columbia Road, Olmsted Falls. Advance tickets are available through noon on April 19th at www.olmstedperformingarts.com and are $13 for Orchestra A, $11 for Orchesta B, and $9 for Reserved Seating. Add $2/ticket at the door. Lap sitting children ages 3 and under are free. Plus, join us for a fun-filled, live animal show with renowned animal entertainer Jungle Terry, plus craft and a snack, at our special preshow event 90 minutes before each performance. Preshow tickets are $15 each. 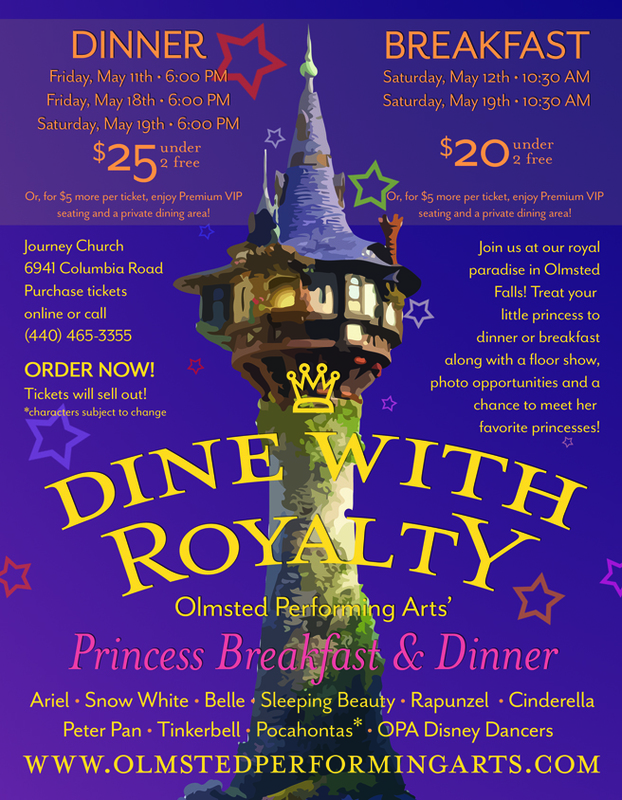 Olmsted Performing Arts’ Dine with royalty: Join Olmsted Performing Arts at our royal paradise at Journey Church, 6941 Columbia Road, Olmsted Falls for dinner (6:00 pm on May 11th, 18th, & 19th – $25/person) or breakfast (10:30 am on May 12th & 19th – $20/person). Your experience includes breakfast (French toast, scrambled eggs, and sausage) or dinner (chicken parmigiana, pasta, salad, and dinner rolls), a 30-45 minute floor show, photo opportunities, and a chance to meet Ariel, Snow White, Belle, Sleeping Beauty, Rapunzel, Cinderella, Peter Pan, Tinkerbell, Pochahontas, and the OPA Disney Dancers. Enjoy Premium VIP seating and a private dining area for an additional $5 per ticket. Advance tickets only. Children under age 2 are free if they share a plate with an adult. Tickets go on sale at www.olmstedperformingarts.com on March 11th. Tickets will be on sale in person on Saturday, March 10th from 1-4 pm at our box office at the Olmsted Community Center, 8170 Mapleway Drive, Olmsted Falls. This event will sell out. Details are available at http://www.olmstedperformingarts.com/youthTheater.php.